The latest iPad Air 2 and iPad mini 3 had went on sale in Malaysia a couple of weeks back. If you’re planning on getting a 4G version, Maxis is now offering both tablets on contract. During sign up, you would need to put a 3 month advance subscription fee as advance payment, which will be refunded over 5 months. However it is waived for Maxis subscribers that have been active for the past 1 year with good payment records. All contracts are tied with 24 months duration. 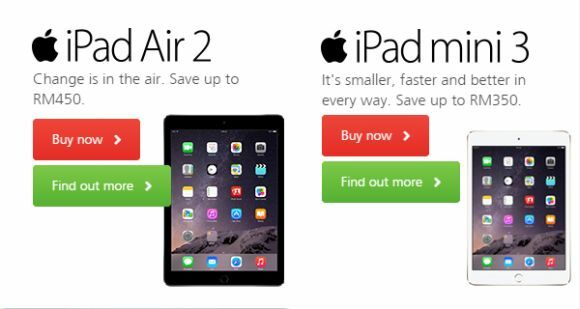 For more info, visit Maxis’s iPad Air 2 and iPad mini 3 product pages.